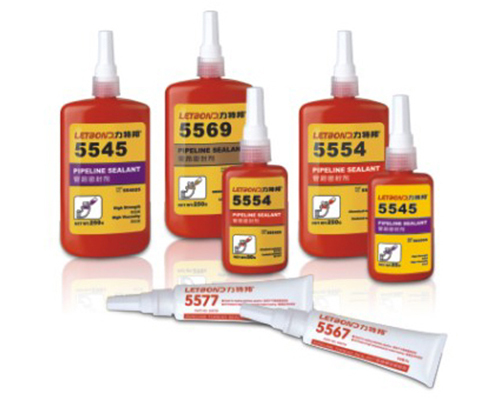 LETBOND® Anaerobic thread sealants forms a strong seal that resists the effects of vibration、 temperature、pressure and industrial solvents. The cured sealant will no shrink、crack or shred. Sealed pipe joints can be disassembled using standard hand tools. The sealant will no pollution and plug to the inner of pipeline. Filling the space between threaded pipe metal and hardening to prevent leakage. Before the sealant fully cured, adjusting can be worked. For the best results, clean all surfaces(external and internal)with LETBOND® cleaning solvent if the material is an active metal spray all threads with Activator. Leaving the first thread free to applied , force the material into the threads to thoroughly fill the voids. If the material is an inactive metal such as nickel、stainless、copper alloy、electroplate metal recommend to use Activator. High temperature resistant 200℃, solvent resistant. Sealing the screw up to 2 inch. Chemistry intermediary resistant. 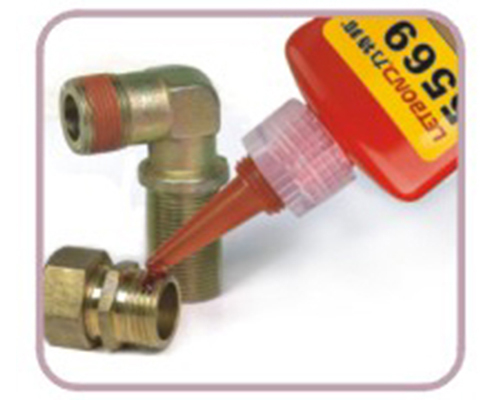 Typical application: Sealing refrigeration thread and pipe radiator. Purple, high strength, medium viscosity, no disassembled. Red, good chemical resistant, Freon resistant. White ,low strength, fast cured. Medium strength easy to disassembled. Yellow, medium strength, sealing coarse thread . fast cured.